over the past 3 weeks the children in Foundation have been following the life-cycle of some Caterpillars. 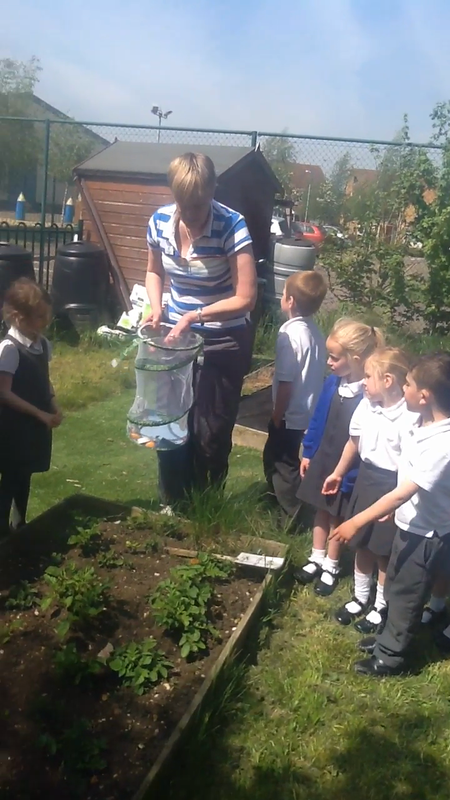 we took delivery of 10 tiny caterpillars and had to look after them carefully. they came in 2 pots that contained food for them. After about 10 days they had grown to 10 times their original size. They then started to spin their cocoons. The cocoons hung from the lids of the pots and we then transferred them to the Butterfly Garden net. We watched carefully and about 7 days later they started to emerge. It was very exciting. Over 3 days, all 10 appeared. They were Painted Lady Butterflies. We gave them pieces of fruit, some flowers and some sugar solution to feed on whilst we waited for them all to be ready to fly away. 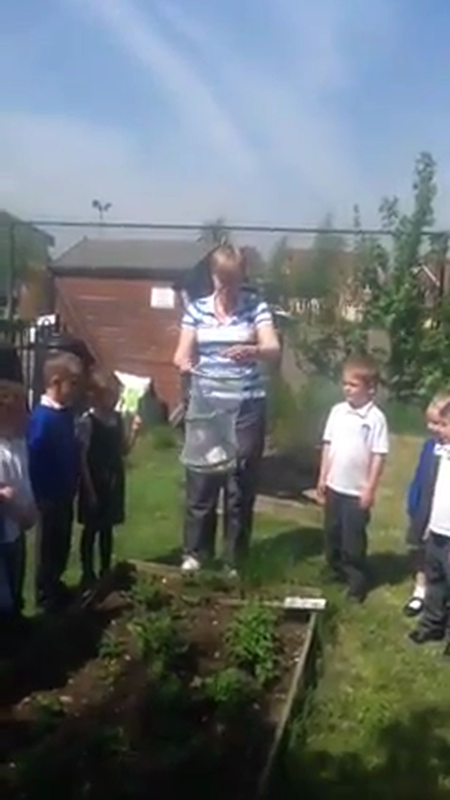 Today we took them to the wildlife garden and released them. It has been very interesting and exciting having them in class.